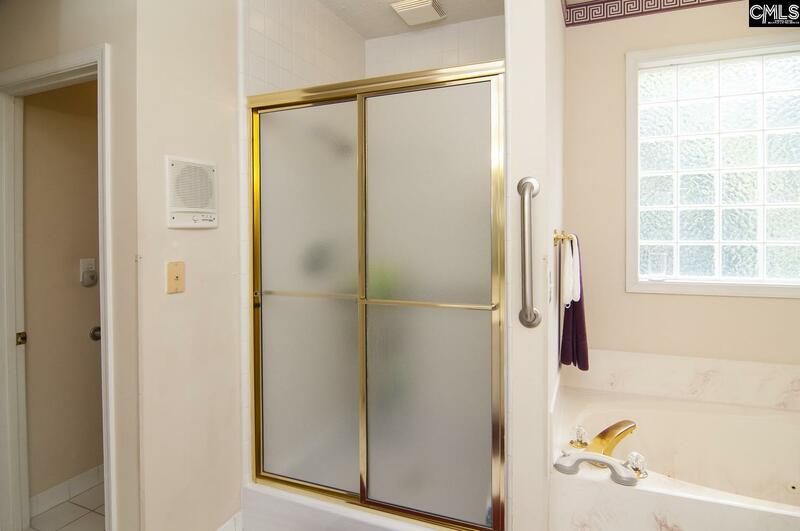 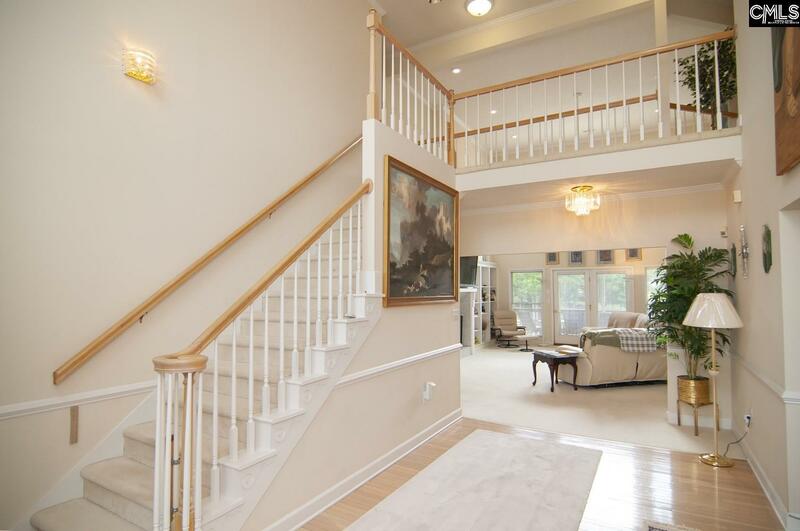 This home is back on the market with improvements, including a reduction is price! 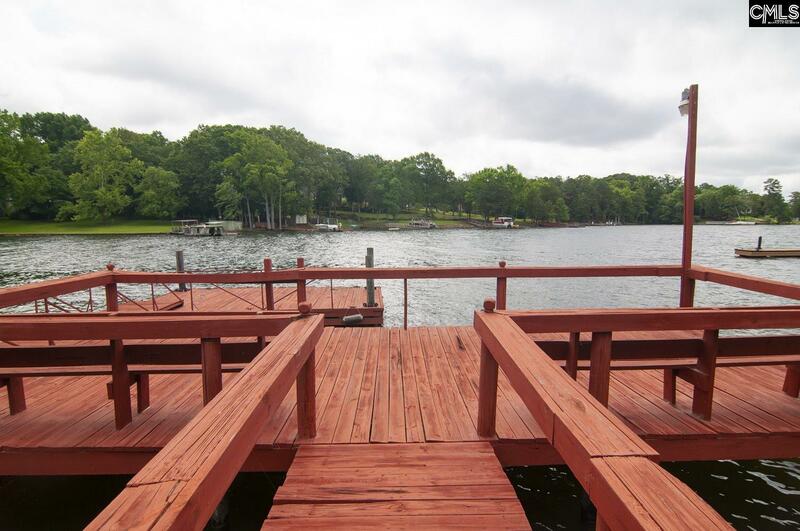 When you walk thru front door you have a beautiful lake view. 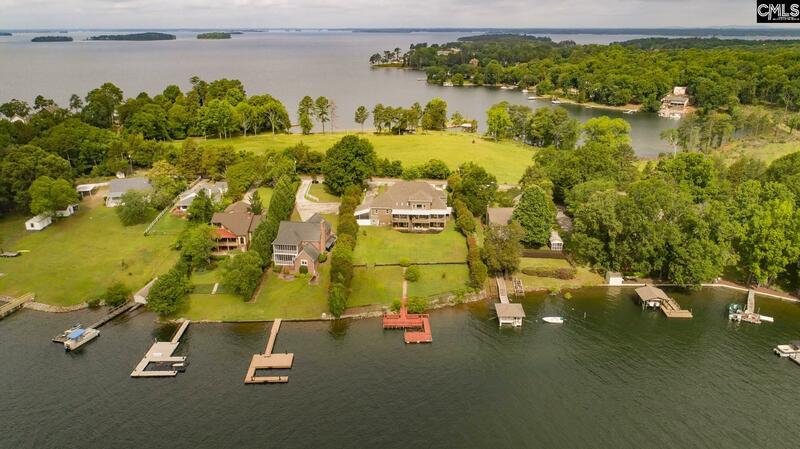 This home offers spectacular cove and big water views. 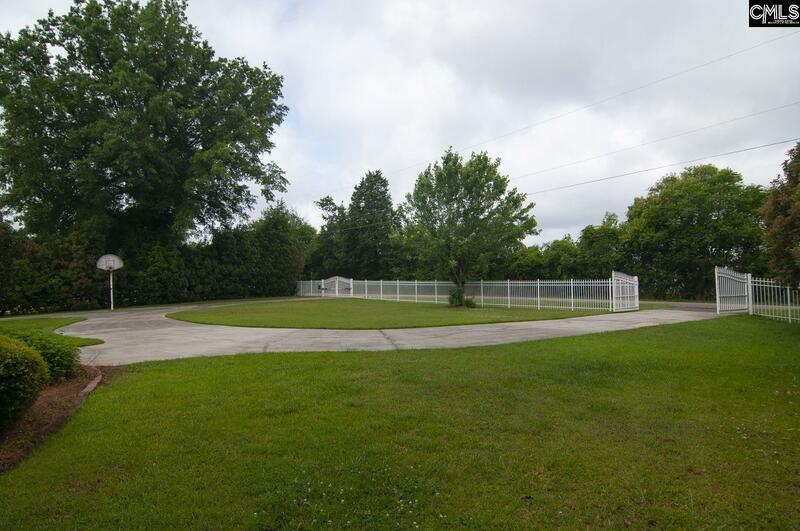 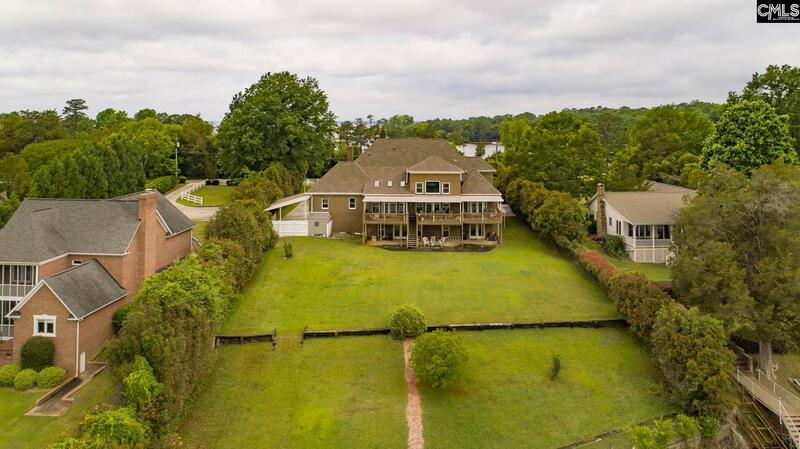 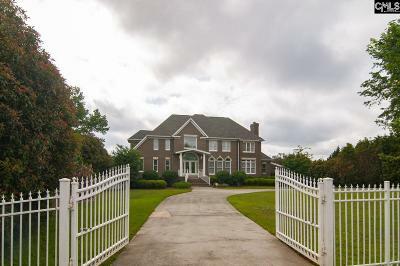 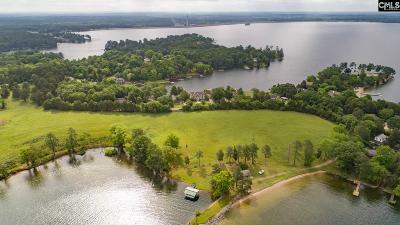 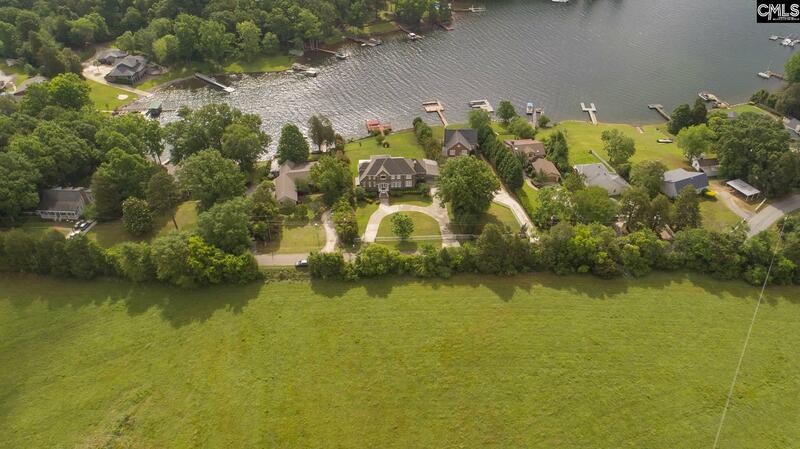 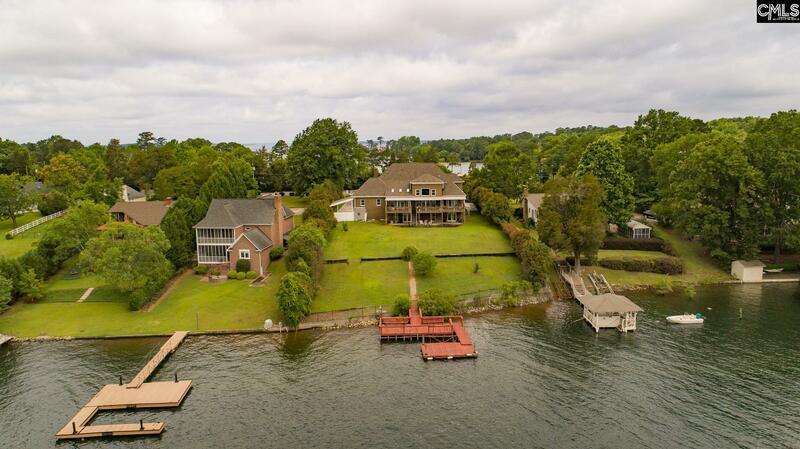 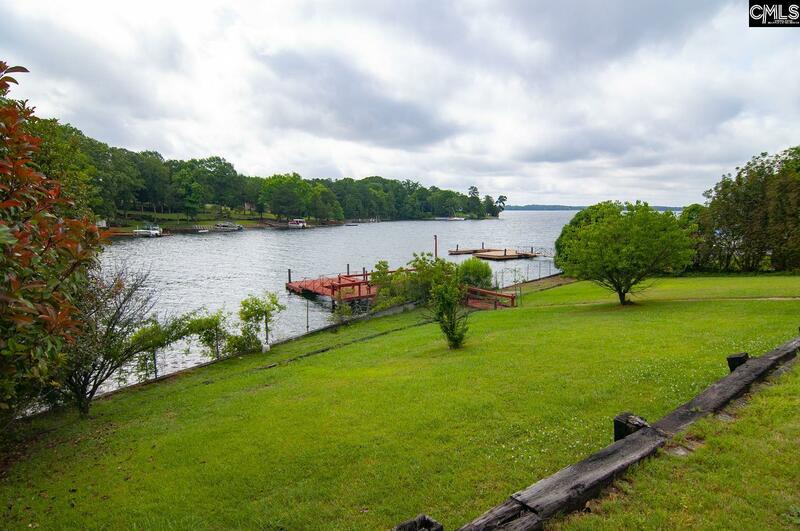 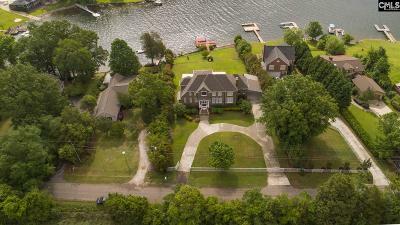 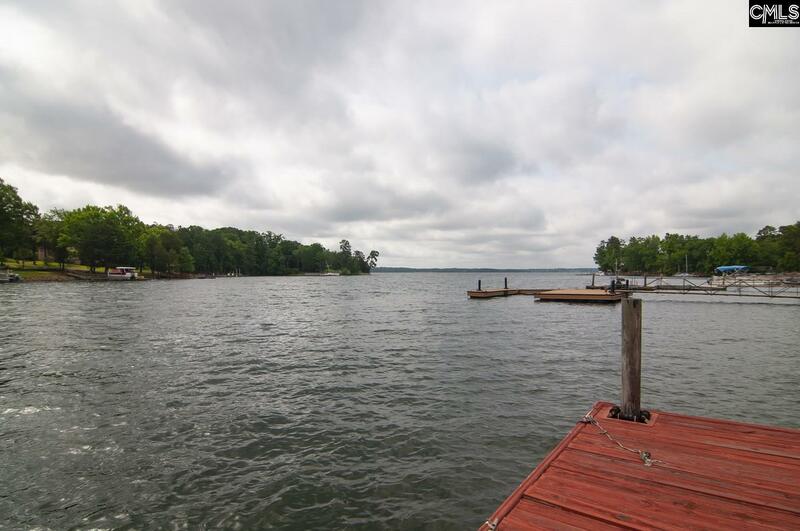 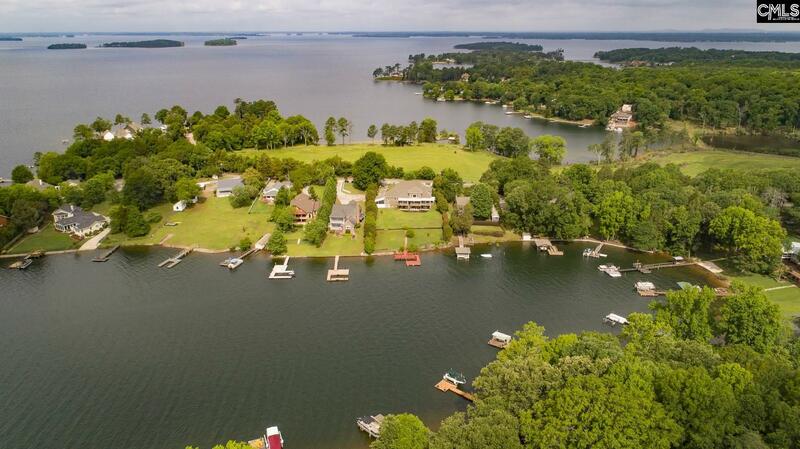 It has 135 feet of water frontage in a much sought after area of Lake Murray. 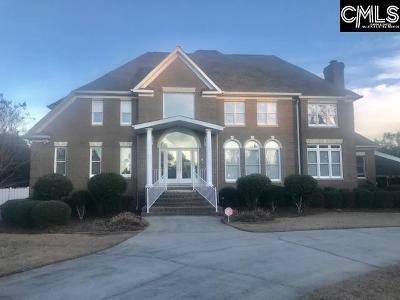 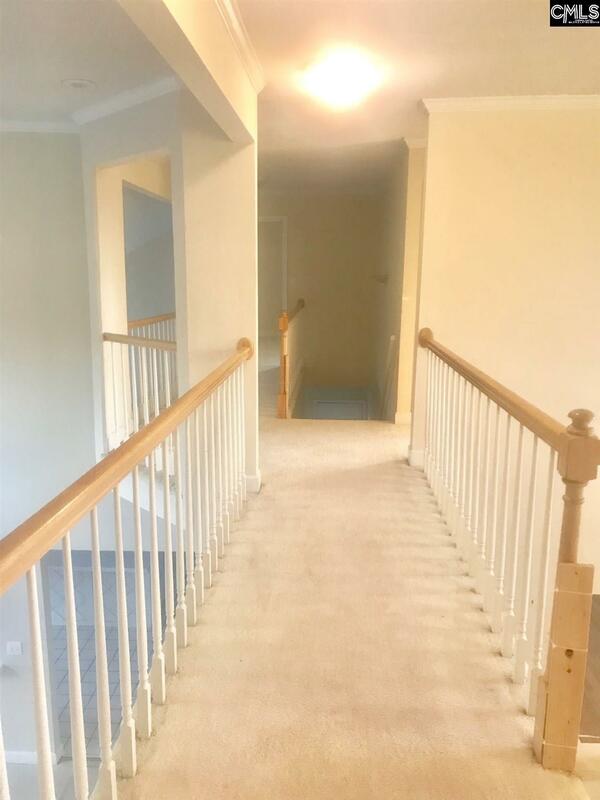 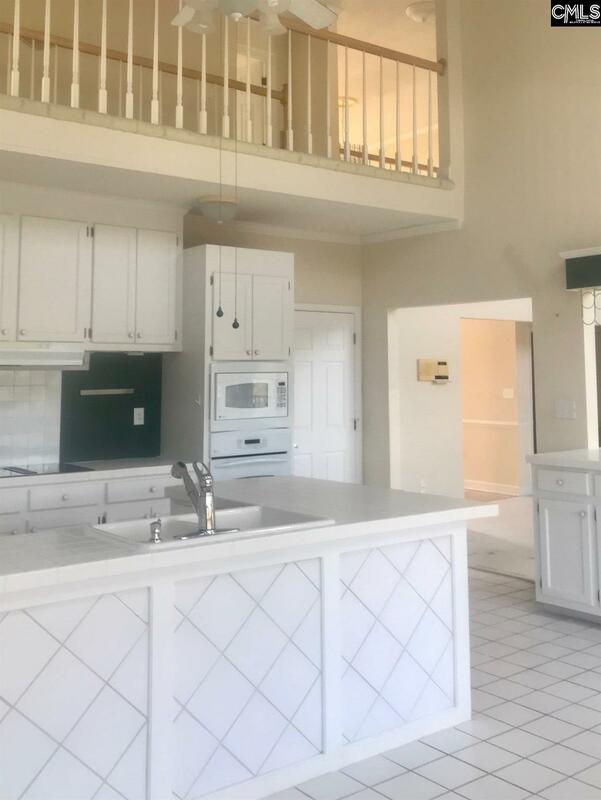 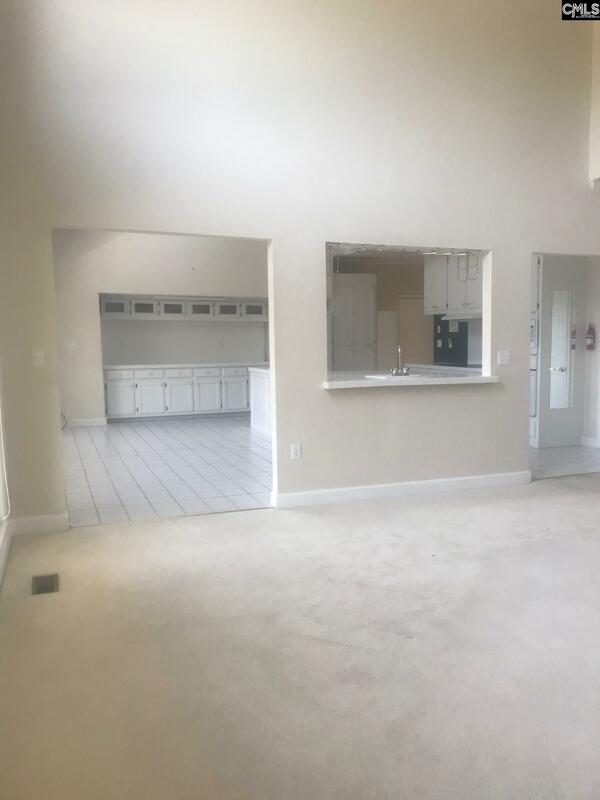 It is not only close in to downtown but also on a quiet country road with no homes on the opposite side of the road.There is white wrought iron fencing across the front of the property with two gates, one manual and one electric. 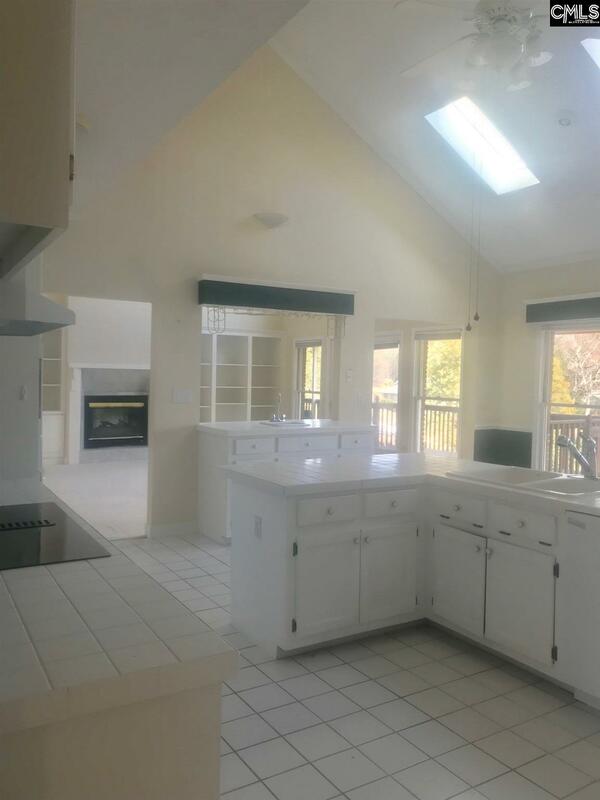 The kitchen has a vaulted ceiling with skylights. 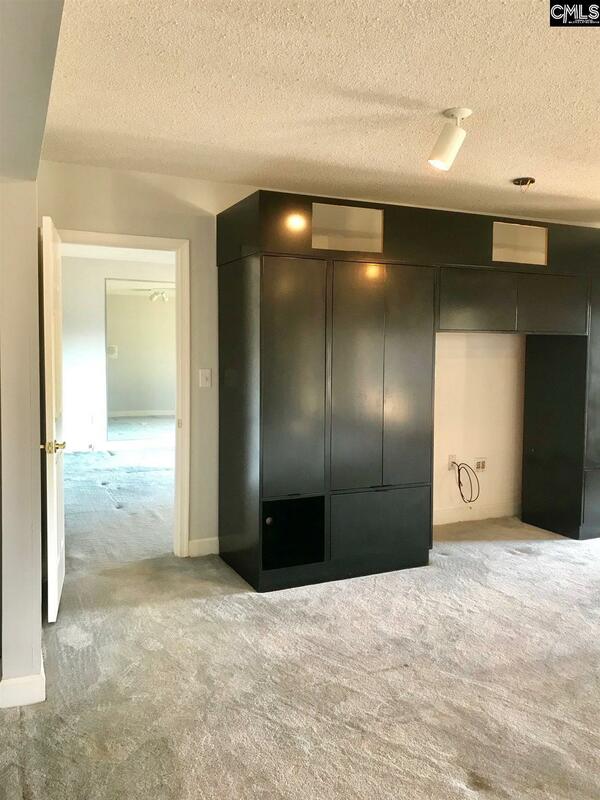 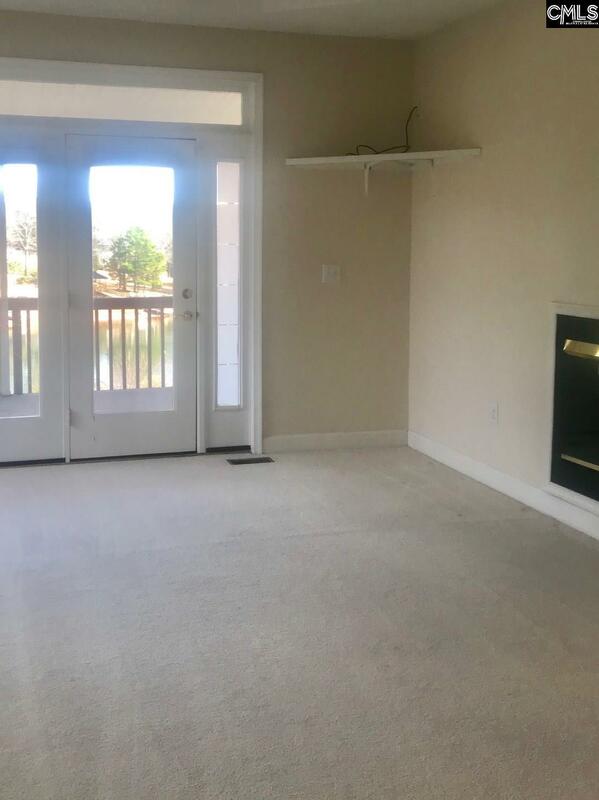 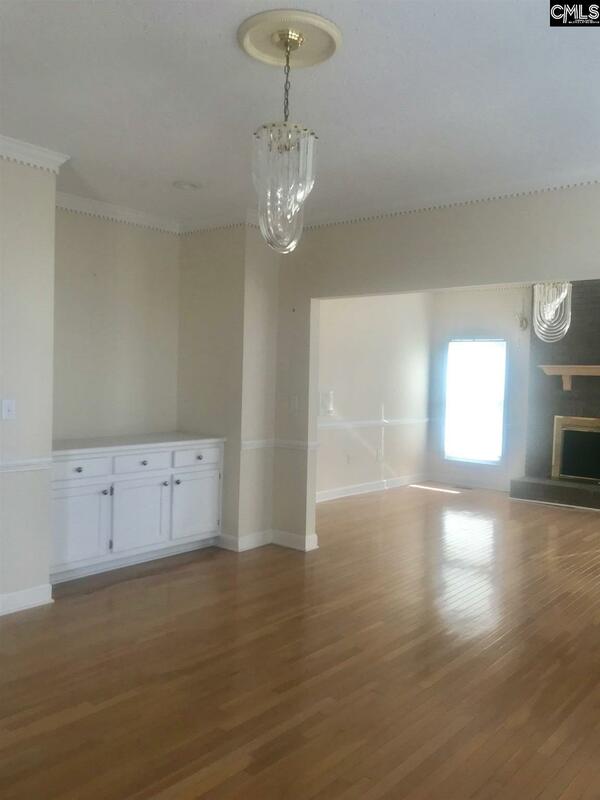 The great room has a two sided gas fireplace, with the other side being in the master bedroom. 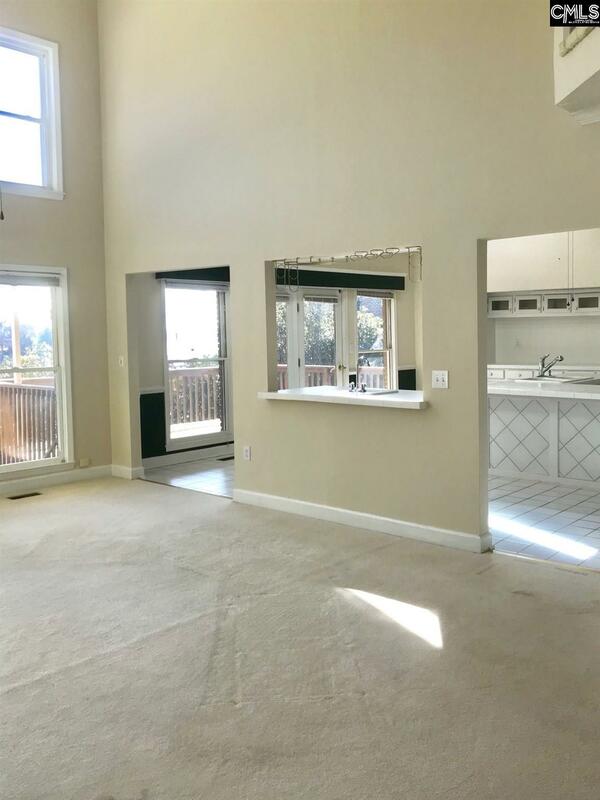 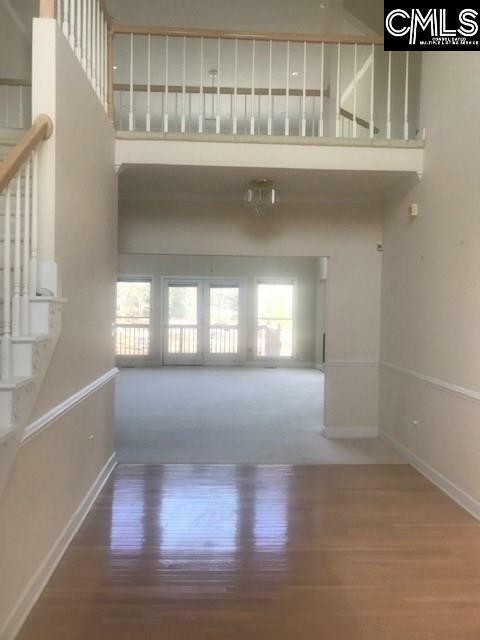 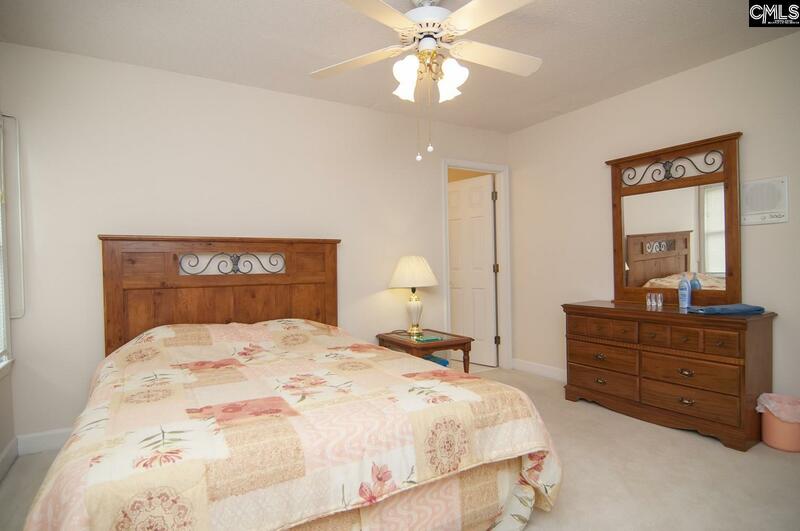 The kitchen, great room and master bedroom all have french doors leading onto the covered deck. 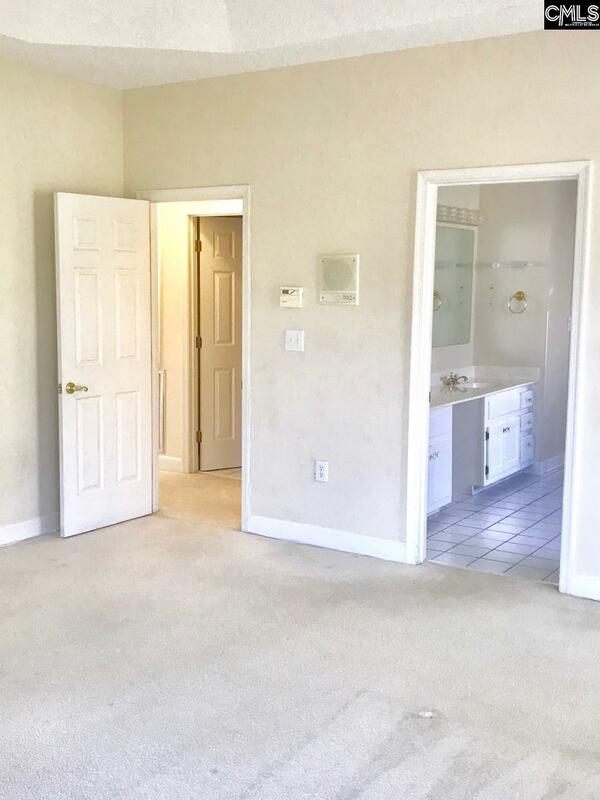 The second level has 3 bedrooms, 2 bathrooms, and a small FROG (heated and cooled) that is accessed thru the closet in Bedroom #4. 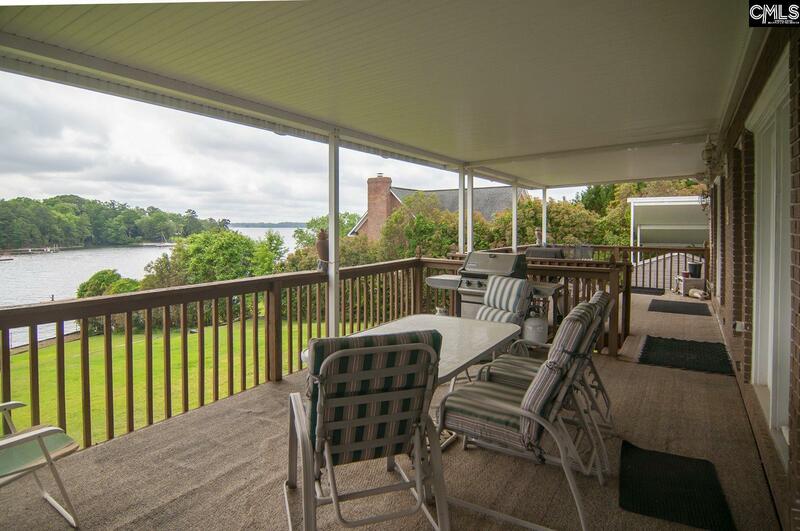 The second level interior balcony offers views of the lake from the front of the house and the back the house. 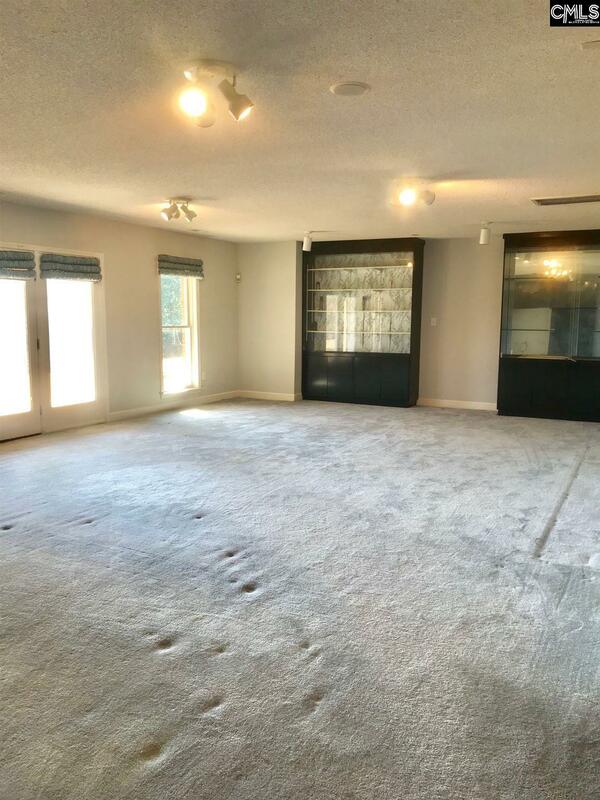 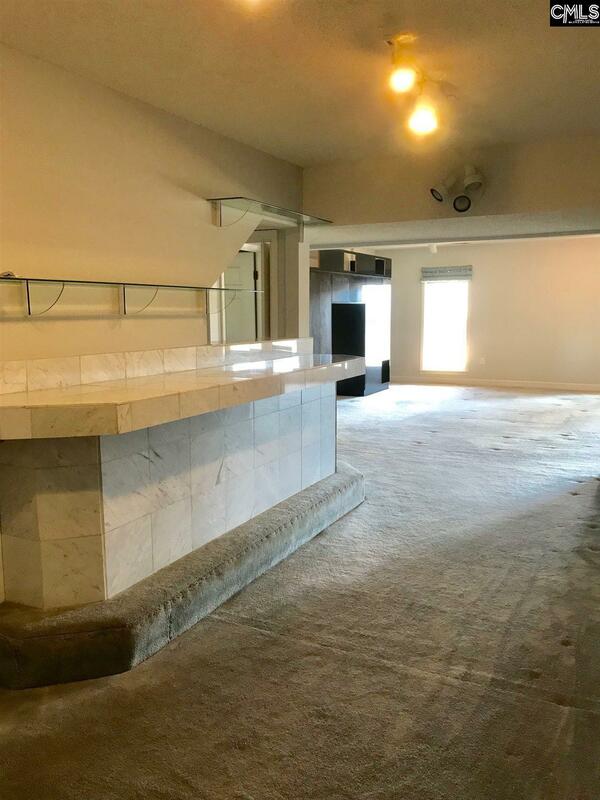 The walkout basement is comprised of a large flex space/recreation room complete with wet bar and french doors leading onto a concrete patio. 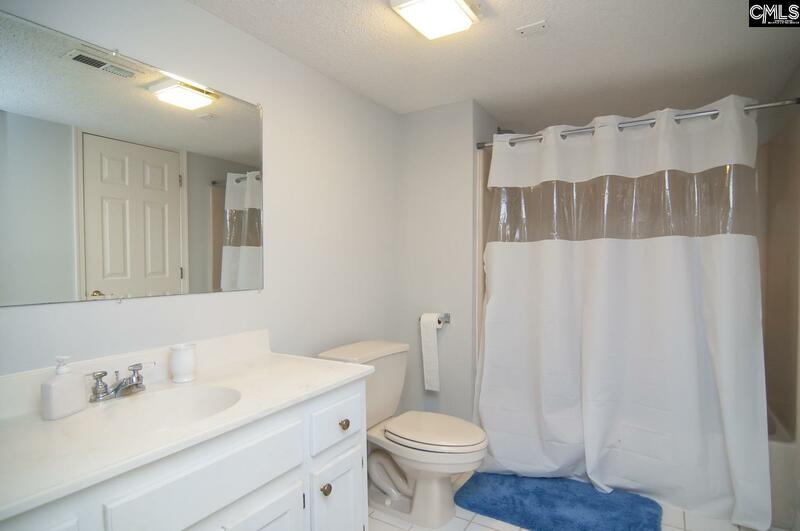 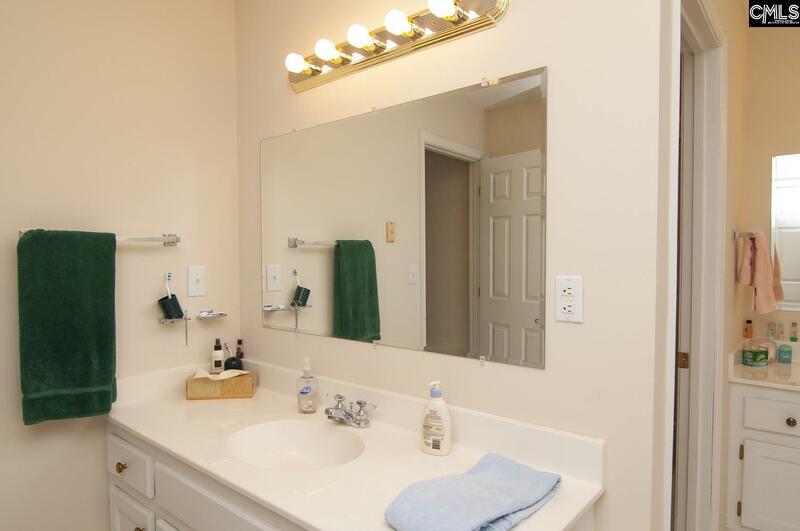 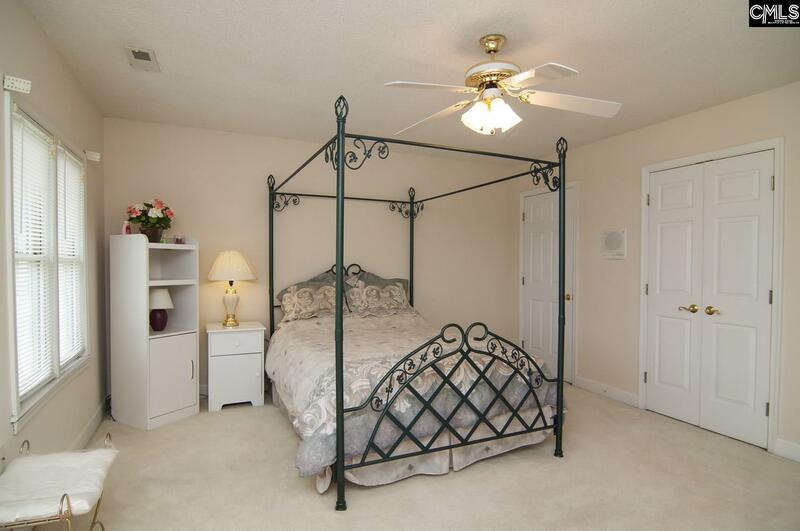 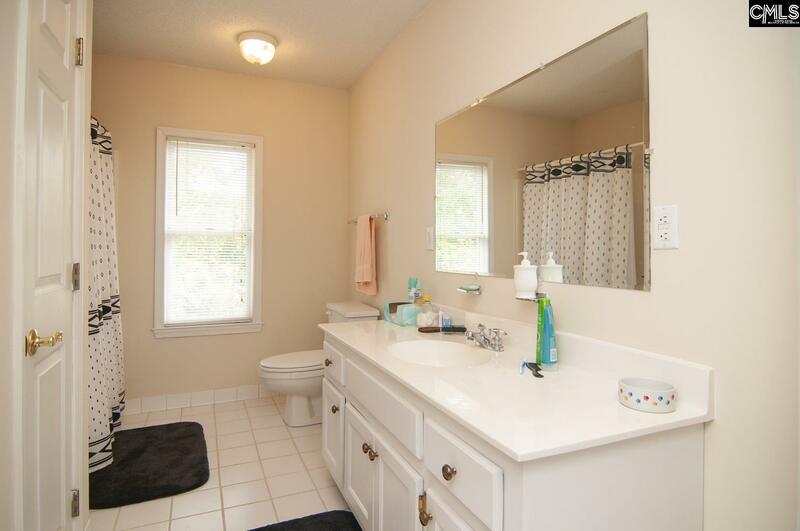 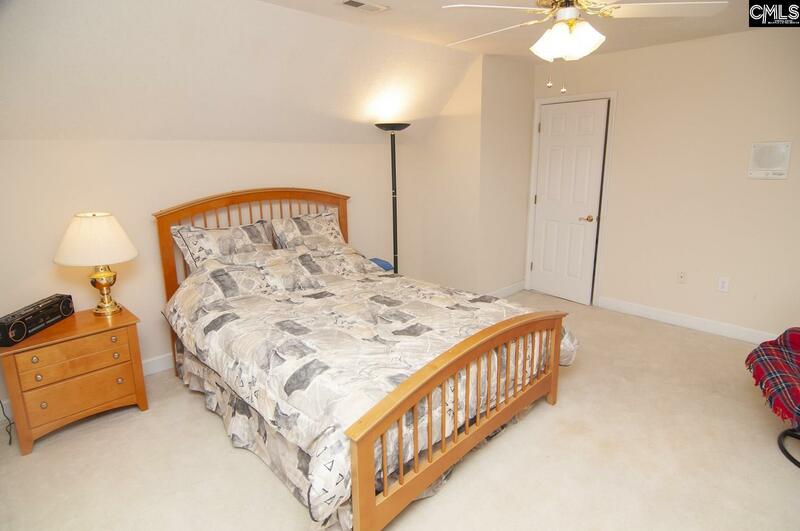 The basement also has a bedroom and full bathroom. 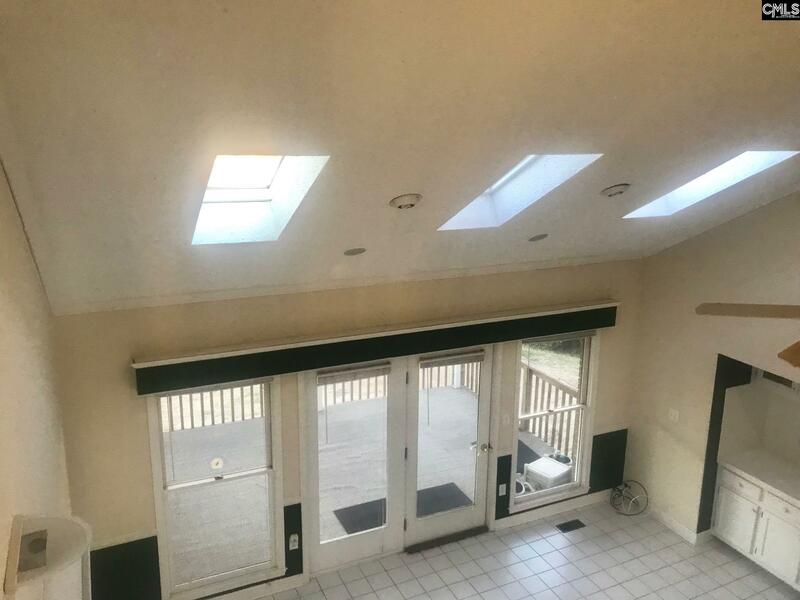 The roof was installed in August 2011, there are 3 HVAC units (one for each level) 2 installed in 2013 and one installed in 2008, there is a 5 zone irrigation system and a security system. Buyer/buyers agent to verify all (especially school) information. Directions: Take Lake Murray Blvd To The Damn. 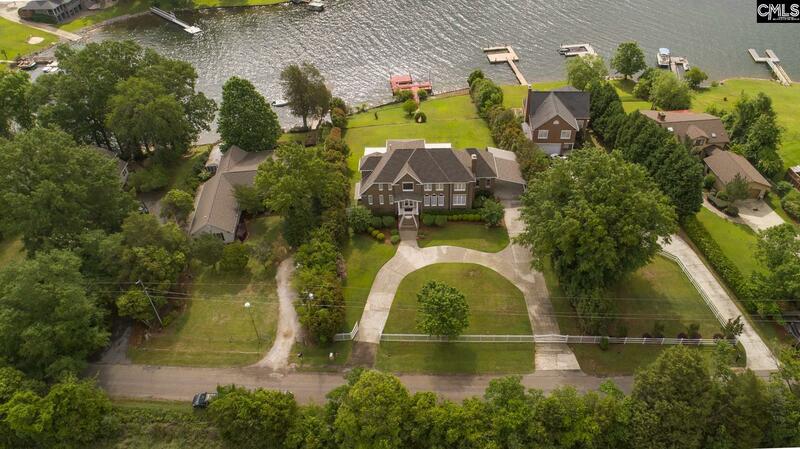 Turn Right Onto Sc-6 W, Turn L Onto River Rd, Slight Left Onto Windward Pt. Rd, Turn Right Onto Hollywood Rd.